IBM is hard at work on the problem of ubiquitous computing, and its approach, understandably enough, is to make a computer small enough that you might mistake it for a grain of sand. Eventually these omnipresent tiny computers could help authenticate products, track medications and more. A schematic shows the parts (you’ll want to view full size). In addition to getting the computers extra-tiny, IBM intends to make them extra-cheap, perhaps 10 cents apiece. So there’s not much of a lower limit on what types of products could be equipped with the tech. Not only that, but the usual promises of ubiquitous computing also apply: this smart dust could be all over the place, doing little calculations, sensing conditions, connecting with other motes and the internet to allow… well, use your imagination. It’s small (about 1mm x 1mm), but it still has the power of a complete computer, albeit not a hot new one. 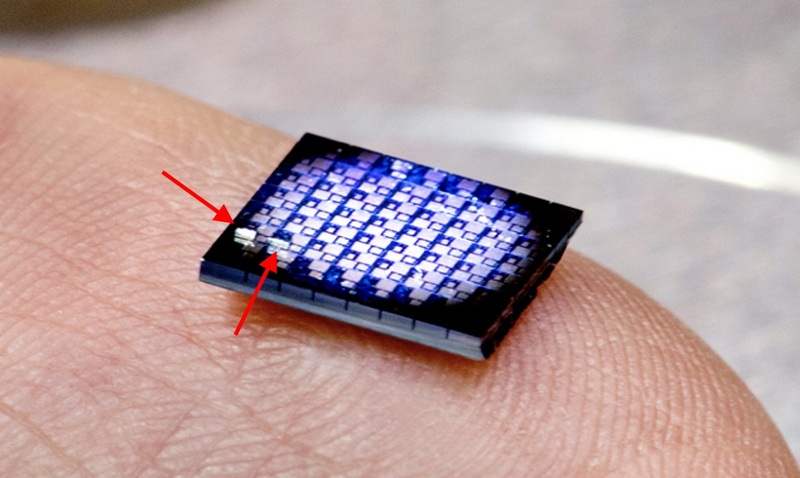 With a few hundred thousand transistors, a bit of RAM, a solar cell and a communications module, it has about the power of a chip from 1990. And we got a lot done on those, right? Of course at this point it’s very much still a research project in IBM’s labs, not quite a reality; the project is being promoted as part of the company’s “five in five” predictions of turns technology will take in the next five years.